Based in West Yorkshire, in the UK, The Hydro Store pride ourselves on being a well stocked hydroponics grow shop, with the best knowledge and great prices, and always striving to provide you with the best possible service. If you have questions about our products or services please do not hesitate to call us. We can offer advice about equipment or any problems you may be experiencing. Please contact us with feedback or any ideas. 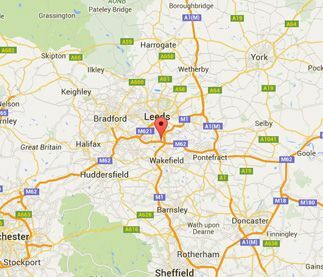 The Hydro Store is perfectly placed in West Yorkshire, and attracts customers far and wide. Below is a handy list of drive times for some of the many areas we serve. For a larger map, please click on a map, or CLICK HERE. Company Registration Name: Northern Hydro Ltd trading as The Hydro Store. Northern Hydro Limited is a company registered in England and Wales with company number 09833094. Registered Office Address: 20-22, Wenlock Road, London, N1 7GU.